Africa is a continent rich in diversity, with a lot to offer. Each country has its own unique beauty and cultures and if you really want to explore the continent, you will need a few months. However, if you have to pick just one or two places to visit in 2017, make sure that one of the following are on your bucket list for the year! The Serengeti is one of the iconic parks of Africa, with good reason. It is expensive (for South Africans) and the main road into the park is most probably the worst corrugated road in Africa, but the beauty of the park more than makes up for it. In Disney’s Lion King style, the kings of the jungle nap on the tops of the koppies, whilst others climb trees for a better vantage point over the thousands of wildebeest, zebra and other animals that roam the wide open grasslands. 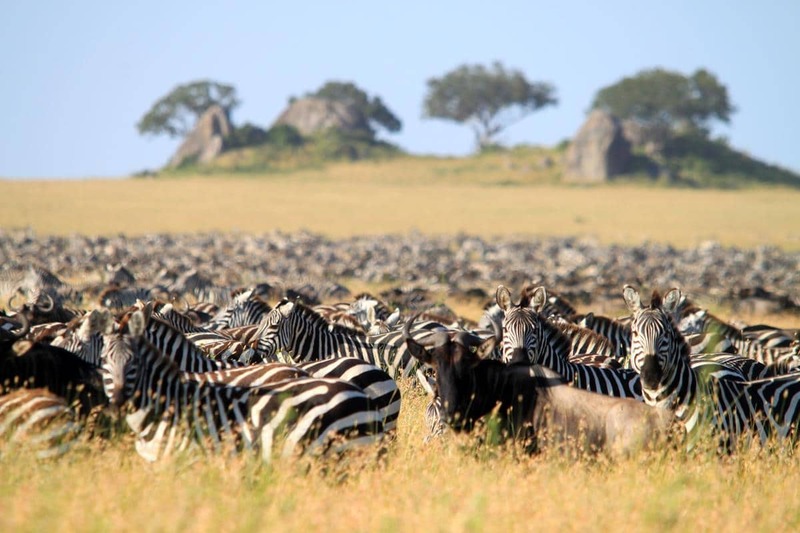 Thousands of zebra and blue wildebeest cover the Serengeti Plains during the migration. Irritating midges keeps this King of the Jungle out of his afternoon nap. 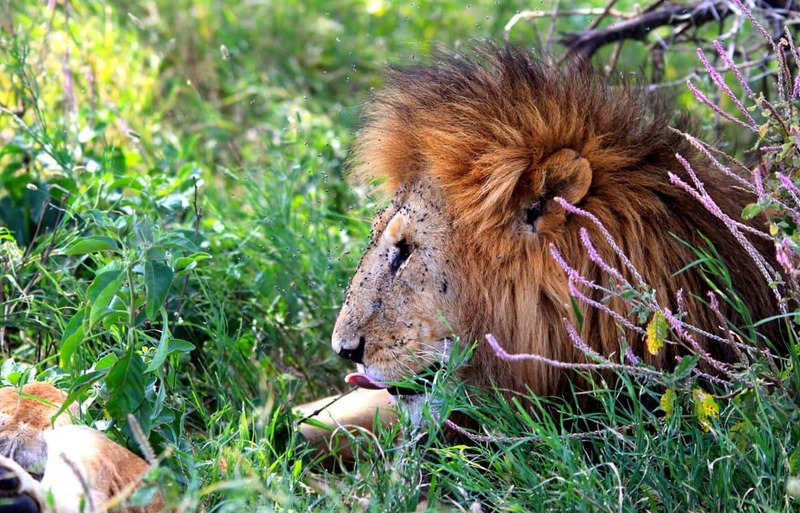 The road network obliges you to combine the Ngorogoro Crater with a visit to the Serengeti. Ngorogoro is the largest unbroken volcanic crater in the world and if you don’t want to fork out the extra USD200 to drive you vehicle down into the crater, you can view this spectacle from the rim on your way through to the Serengeti. 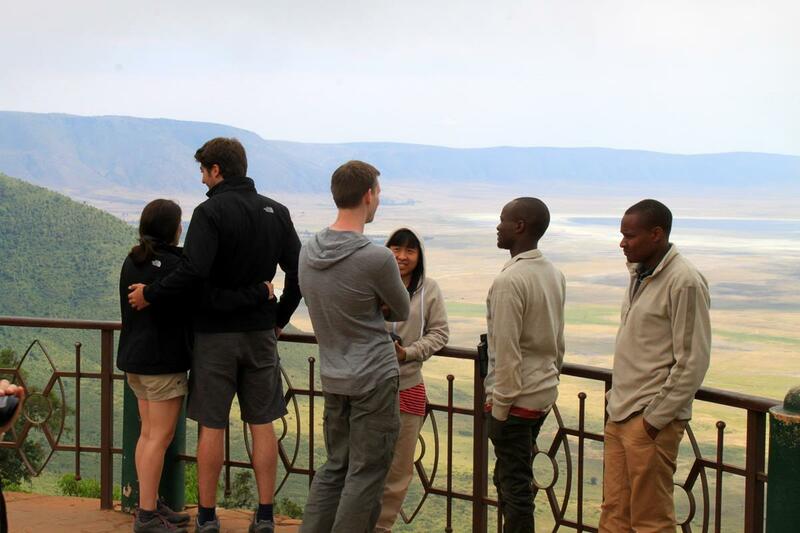 Viewpoint over the Ngorogoro Crater. The two clusters of rock-hewn churches, carved about 800 years ago out of solid stone below ground level, should in my opinion rank as one of the man-made wonders of the world. The roofs of these churches, some over 10 metres above their floor, are formed from the top layer of their founding rock, which was hollowed out around and within to form the churches themselves; each with supporting pillars and an interior suggesting that the structure was built up from its base, not chiseled out from above. 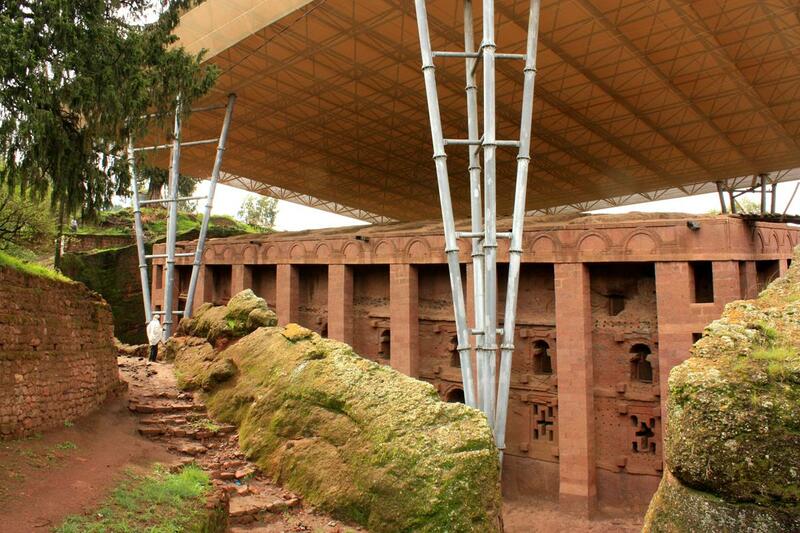 Some of the Lalibela churches are protected against the elements by modern structures. 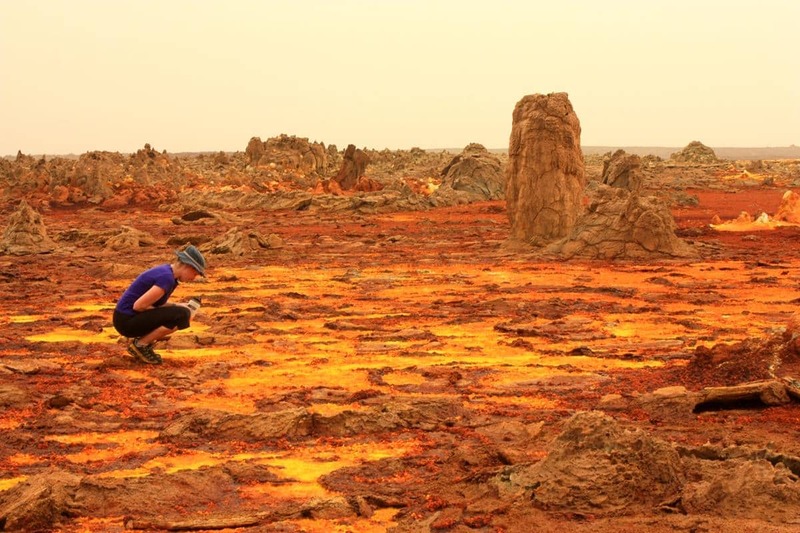 The Danakil Depression is one of the lowest and hottest inhabited places on earth. 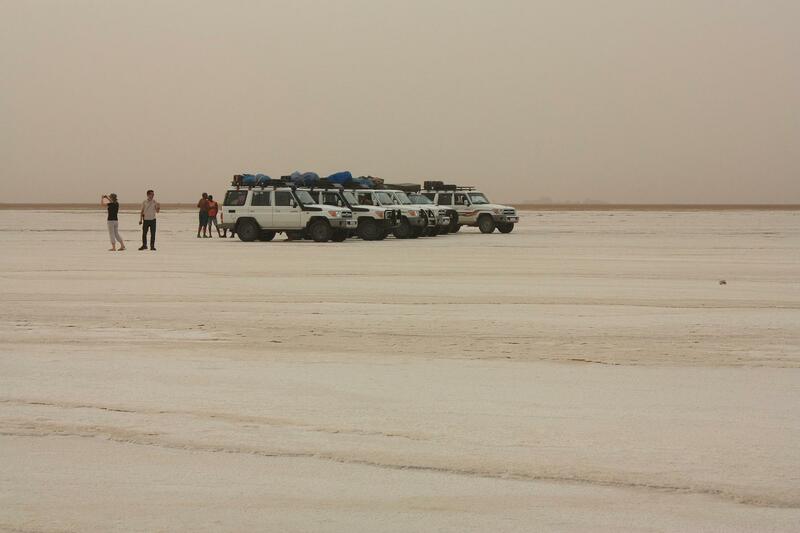 It is not easy to reach (you will have to be part of a guided group) and temperatures around 50 degrees make it challenging, but it is one of the most amazing places in Africa. Lake Assala has a salt layer 2000m deep and is actively mined for salt, with thousands of camels carrying the salt blocks out on their backs. The whole Dallol area is totally surreal with the barren landscape turning into various bright colours through the activity between sulphurous gasses and different minerals. Near-by features include a salt mountain, sulphur hot spring and a bubbling salt pool in which you can float. The reaction between sulfurous gasses and different minerals results in the bright colours of the sulfur lake. Perhaps best of all, it is an incredible experience to stand at the rim of the Erta Ale volcano which contains the world’s only permanent lava lake. It is quite a trek to get there but worth every bit of energy! 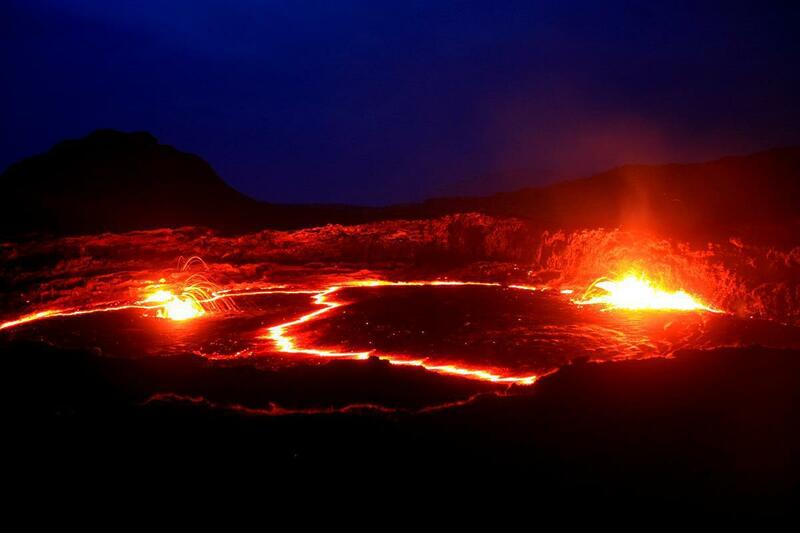 The lava lake of the Erta Ale volcano. Kenya has many beautiful and diverse lakes. 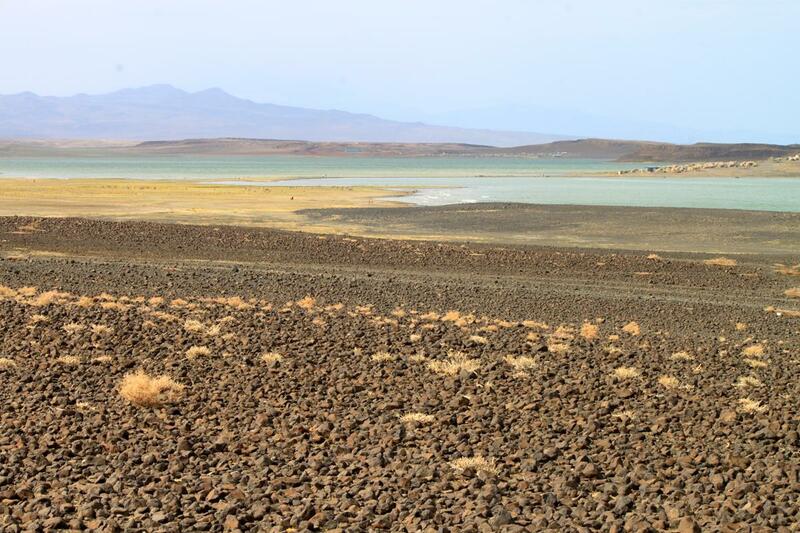 Lake Turkana in the north-west is remote, barren and wild with virtually no facilities, while Lake Naivasha, north of Nairobi, is lush and offers a variety of tourist amenities. Even though these two lakes are very different from each other, both are extraordinary. Soft hues soften the harsh conditions of Lake Turkana. This is the most picturesque lake I have seen in Africa. The surroundings are hilly, fertile and highly cultivated. Lake Kivu sits at an altitude of 1460 metres in a rift valley that is slowly being pulled apart, making it subject to volcanic activity. Notorious as a dumping ground for many of the 1990s genocide victims its eastern shore provides the route for the picturesque Congo Nile Trail. 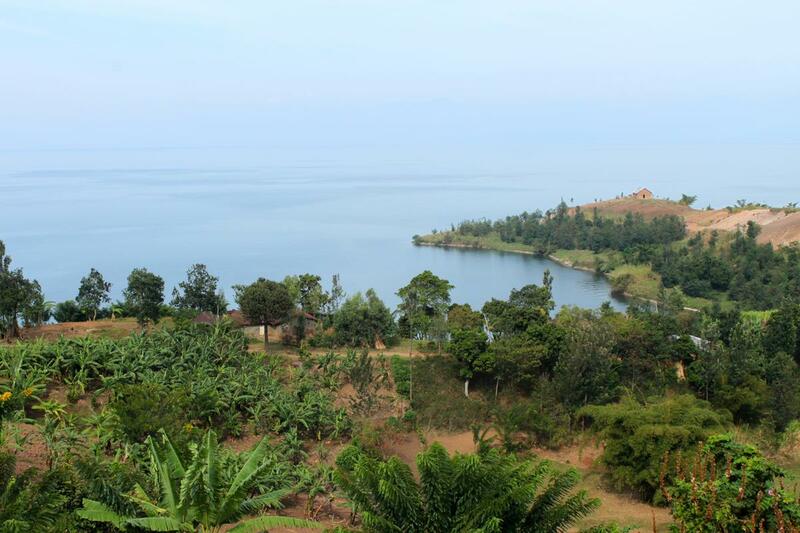 The shores of Lake Kivu are fertile and well-cultivated. 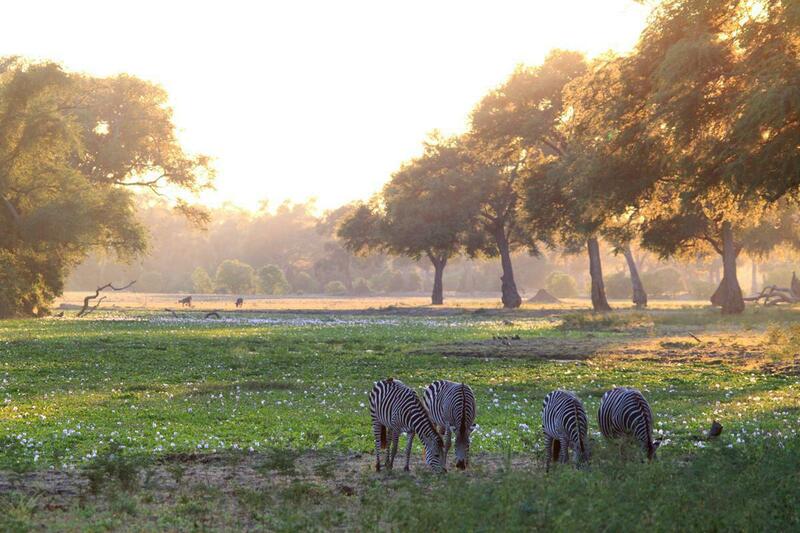 There is no park like Mana Pools in the whole of Africa; it has a very unique ambiance with bountiful animals. The expanse of Kariba is astonishing, providing food, water and a habitat for a huge variety of birds and animals. 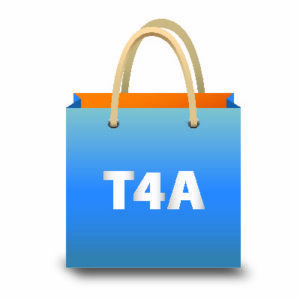 It also provides a great fishing experience. Mana Pools is situated close to Kariba and ideally you should combine the two in one trip. It is absolute bliss to explore Kariba on a houseboat, which can be chartered in Kariba town, either for small or big groups. 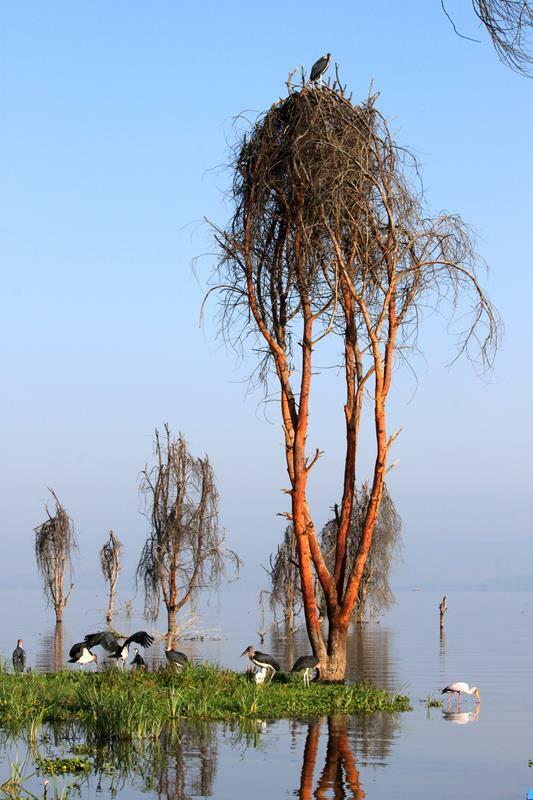 The early morning magic of Mana Pools. 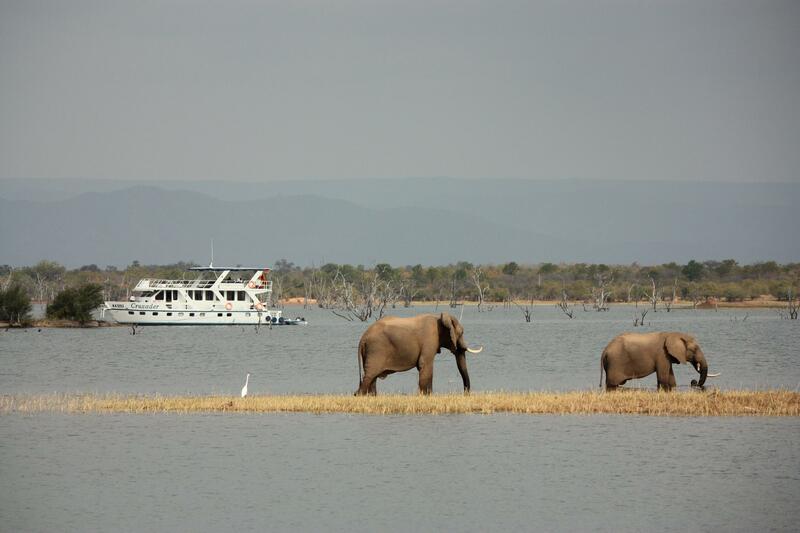 Watching elephant from a houseboat on Lake Kariba. Most people dream of gorilla trekking and, although it is expensive, it is indeed a thrilling experience to spend an hour close to these primates. You can do your gorilla trekking either in Uganda or Rwanda (which are the preferred options for most people) or in the DRC. 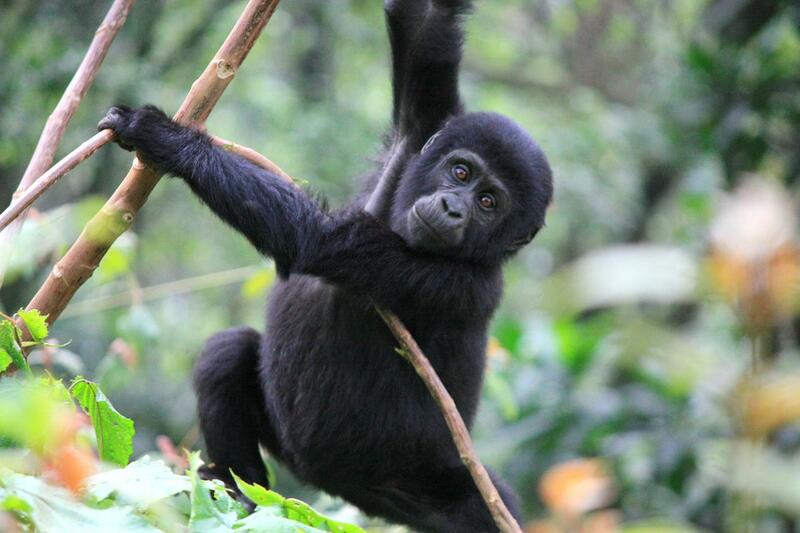 A juvenile gorilla in the Bwindi Impenetrable Forest in Uganda. The Kgalagadi Transfrontier Park includes the Kalahari Gemsbok NP in South Africa and the Gemsbok NP as well as the Mabuasehube GR in Botswana. The vegetation in this colossal park varies from dune veld to thornveld and semi-desert vegetation. Due to this the animals are highly visible and guarantee an unforgettable combination of game (especially the big predators) and Kalahari landscape. 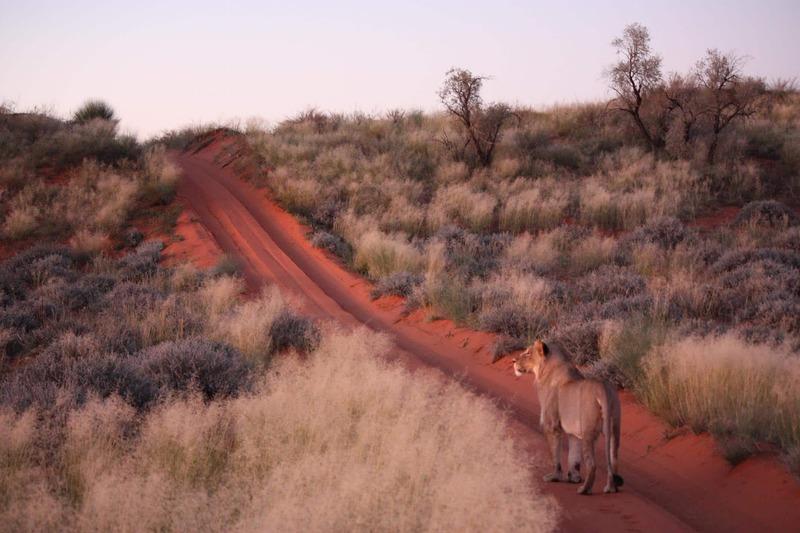 A lioness on the red Kalahari dunes of the Kgalagadi Transfrontier Park. Sossusvlei is without a doubt one of Namibia’s most renowned tourist attractions. The Sossusvlei dunes are some of the highest in the world and Deadvlei is an extremely popular photographic valley within Sossusvlei. One can spend many intriguing hours on these dunes. 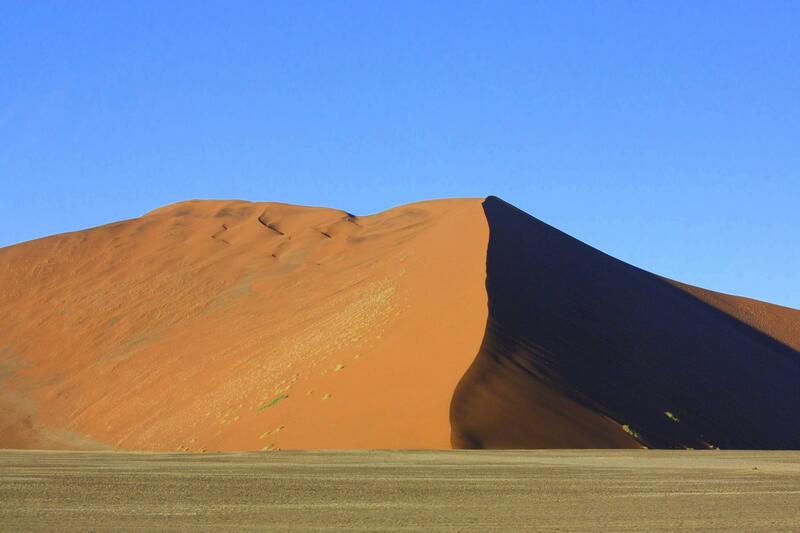 The red dunes of Sossusvlei derive their colour from the oxidation of iron in the sand. 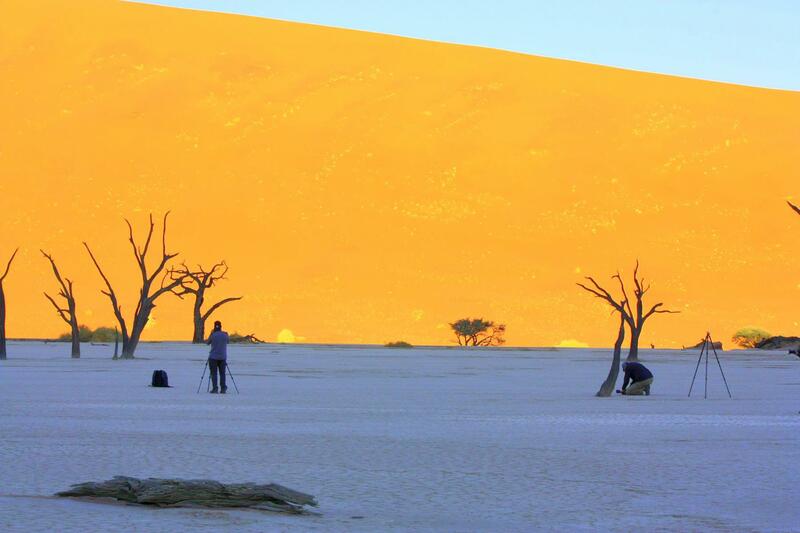 Deadvlei is a popular photographic destination. 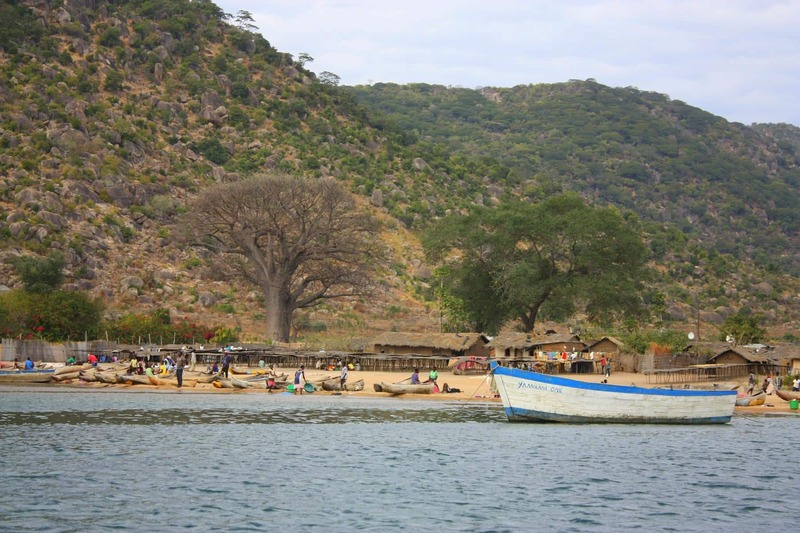 Even though Cape Maclear is most probably Malawi’s most popular tourist destination, there are many quaint villages on the shore of the 570 km long lake. Whilst Malawi is a poor country, the people are extremely hospitable. Fishing boats on Lake Malawi. There are many upmarket fly-in lodges in the delta, but it is possible to self-drive to and camp in the Moremi GR which is situated on the eastern side of the Okavango Delta. 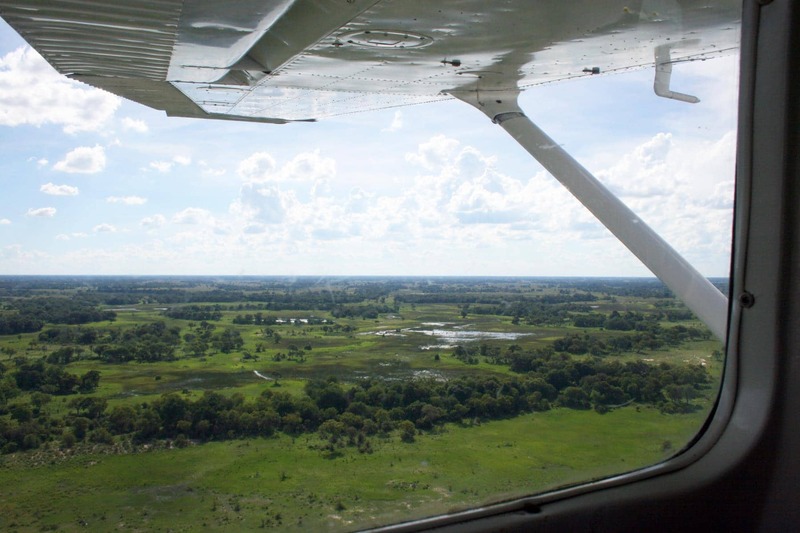 It is also an amazing experience to fly over this massive inland swamp. Each year the Okavango River discharges approximately 11 cubic kilometres of water into an area between 6 000 and 15 000 km² and as such provides a habitat for a huge concentration of animals and birds. 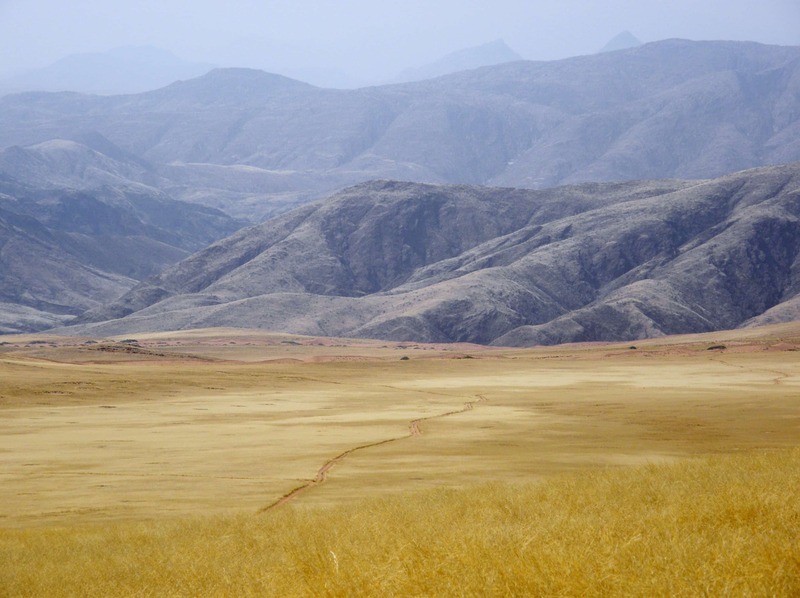 This remote and wild area should rather not be attempted alone by inexperienced travellers. 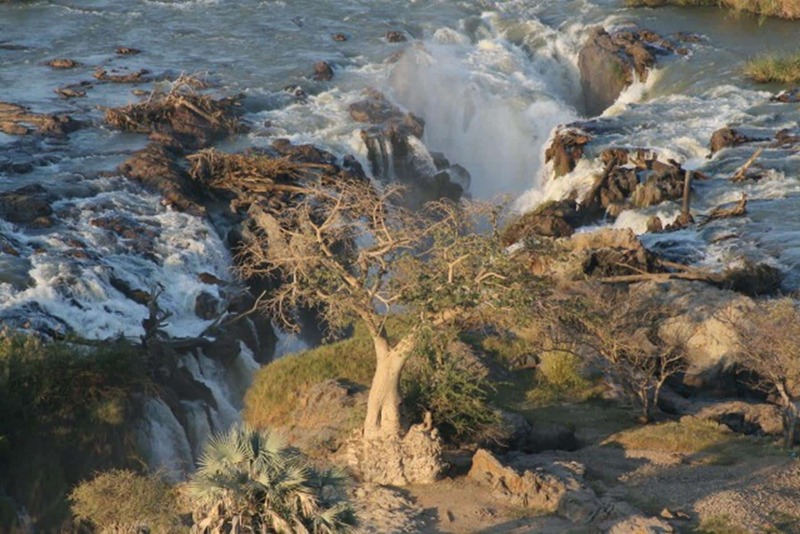 Highlights of Kaokoland include Epupa Falls, Van Zyl’s Pass, Marienfluss and Palmwag. You can also meet the Himba people who are semi-nomadic cattle herders.